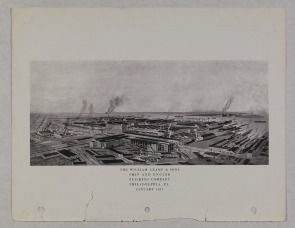 Depicts bird's eye view of Cramp's Shipyard. Cramp's Shipyard War Activities. Philadelphia: [s.n. ], 1919.